Happy Tuesday to you! I am so pleased to be able to share the work of Simone Ridyard with you today. 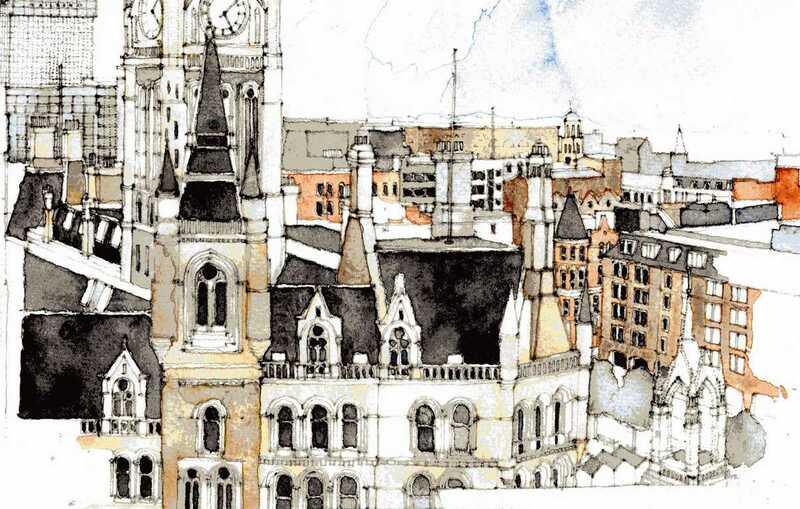 Aren’t these architectural watercolors stunning? The amount of detail Simone achieves in her drawing is pretty incredible, yet, over all, these paintings are gentle on the eyes and almost appear simple at first… and then you keep noticing more fine details, small and exact refinements to each building… crazy precisions! Simone Ridyard combines that intricate drawing with some very expressive and painterly colored areas. She really allows the paint to express itself and seems to enjoy how the random watercolor paint effects interact with her drawings. Simone Ridyard studied architecture at the Canterbury School of Architecture. She learned that drawing and painting were the best ways to communicate her thoughts and ideas to clients. 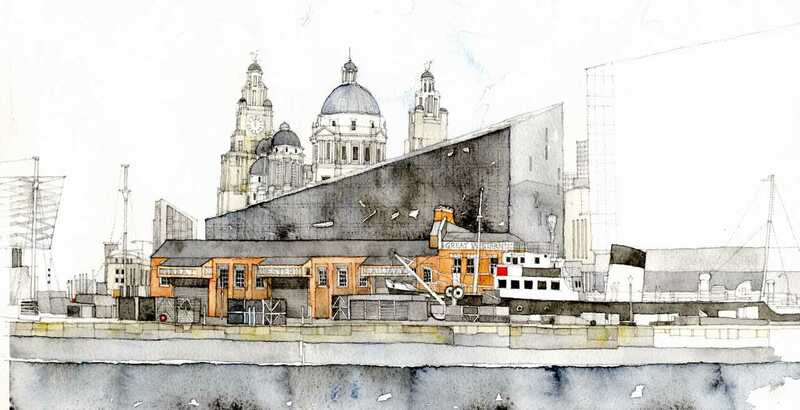 She now lives in (and draws) Manchester, UK, where she also teaches drawing and exhibits her work. I hope these inspire you! I know they have challenged me to A) draw better and B) to really look at my surroundings and notice the beauty, the simplicity, and the wealth of detail. I appreciate the details. I am a detailist myself but her work is amazingly beautiful. Reblogged this on Pencils and Fountain pens. Wow! I love the manchester town hall large one! Thanks for sharing, Em! That is very striking imagery. I love her unique style and use of detail–very inspiring, although I know I would never have the patience to try that sort of work. Just amazing. Thank you again – and what a lovely website, which I will now definitely be keeping an eye on. Simone, your work is amazing. I’m so impressed! Thank you for allowing us to see these cities and places through your eyes. Very cool…. These are great. Something new and fresh. I’m learning to like watercolour more and more.